Confession...I didn't take this picture, my husband did. Last Sunday, he took the kids fishing at a nearby lake--I didn't join them as I had a few errands to run and things to get done around the house. And, well, it isn't that I don't like to fish (I do....) but I thought the kids needed some daddy time. 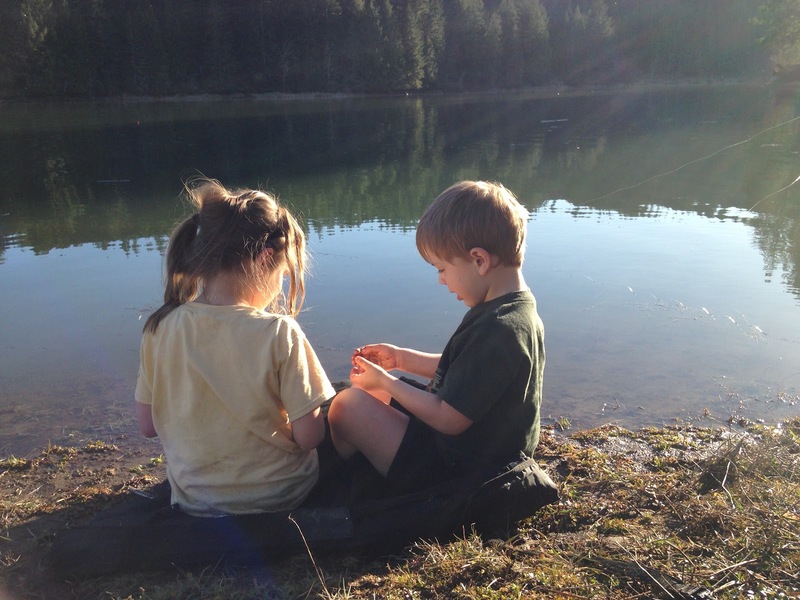 My husband dutifully took lots of picture of the kids "fishing" (and by "fishing" I mean "playing with and naming the bait") and I just loved this one of the two of them.